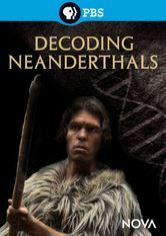 Neanderthals fascinate us: so much like us, yet not quite us. We have long known that they overlapped with modern humans in prehistoric Europe, but recent genetic evidence suggests widespread interbreeding of the two groups. Are We the Last Neanderthals? University of Wisconsin biological anthropologist John Hawks is at the forefront of this species-shaking research. He presents the latest findings from the lab and field and discusses what may or may not make us uniquely human. This program is presented in partnership with the Center for the Humanities and the Institute for Research in the Humanities at the University of Wisconsin at Madison.